Power Center Tom Heads, Tom from Evans. Evans drumheads introduced the new Power Center Tom Heads, designed to offer "vintage sound through contemporary design." "Compared to other single-ply heads, Evans’ Power Center Tom Heads offer a full-bodied tone with great attack, increased durability, and impeccable focus," the company says. "These heads are ideal for players who prefer that classic 70’s sound but require modern consistency and quality." Evans’ Power Center Tom Heads feature graduated film thickness (10-mil film for heads sized from 6” – 12” and 12-mil film on 13” – 18”) and graduated dot sizes to create a balanced sound across the kit. Available January 1, 2010, the heads will retail from $26.00 to $48.00. 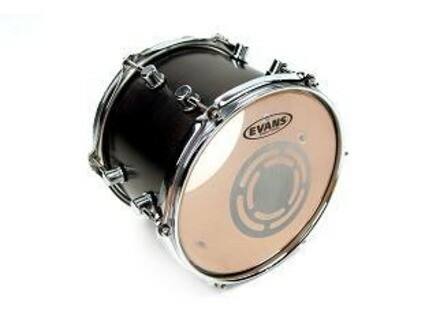 For the complete line of Evans products, go to www.evansdrumheads.com. [NAMM] Inked by Evans Program Evans announced the new “Inked by Evans” program, designed to allow drummers to print a large, color graphic on bass drumheads with Evans’ new high-resolution printing system. 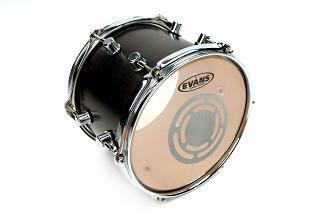 [NAMM] Evans EC2 Evans launched the new EC2 with Sound Shaping Technology. [NAMM] Adams Schnellar Series Timpani Adams introduces the Schnellar Series timpani, the infamous sound of the Royal Concertgebouw Orchestra in Amsterdam.